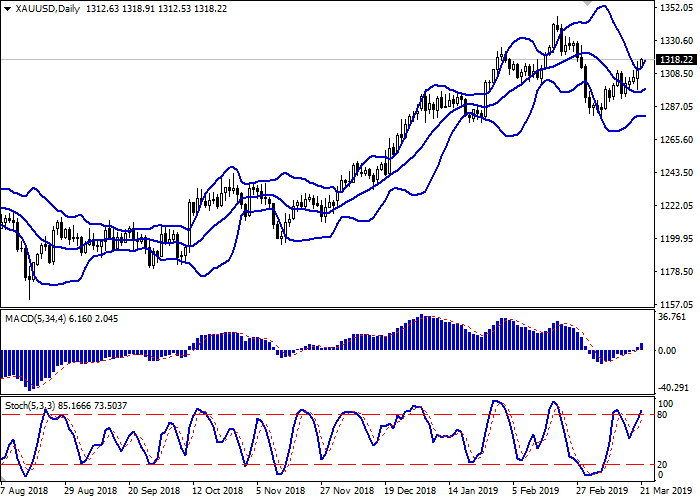 Gold prices declined on Wednesday in anticipation of the announcement of the outcome of the Fed meeting. After the regulator announced to abandon two rate hikes this year, the instrument quickly went up, despite the fact that this decision did not come as a big surprise. 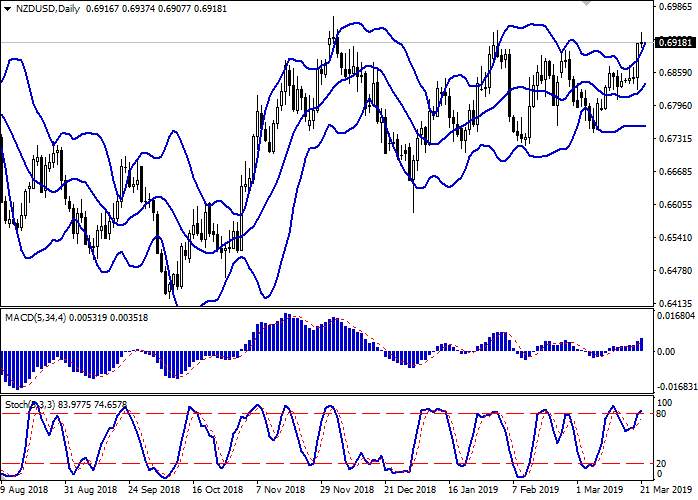 Yesterday, NZD rose notably against USD, renewing its highs since February 1. The appearance of a confident "bullish" dynamics was due to the expected decision of the Fed to abandon the two planned rate hikes this year. On the 4-hour chart, the large downward correction develops as the wave 2 of the higher level, within which the wave (A) of 2 formed. Now the upward correction is developing as the wave (B) of 2, within which the wave A of (B) is forming as a momentum. 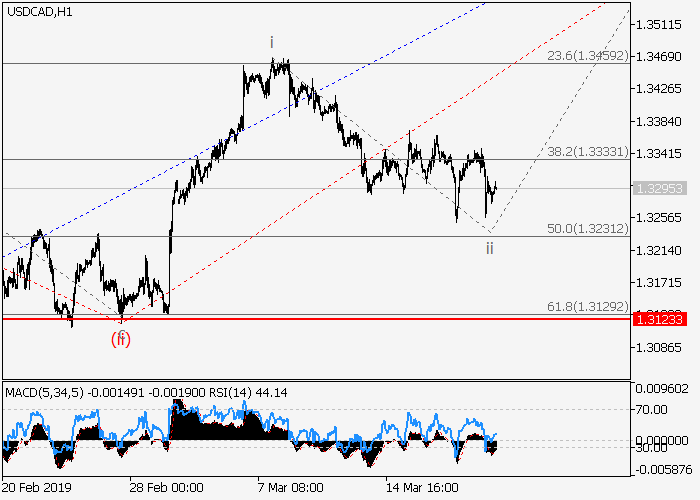 If the assumption is correct, the price will grow to the levels of 60.10–64.30. 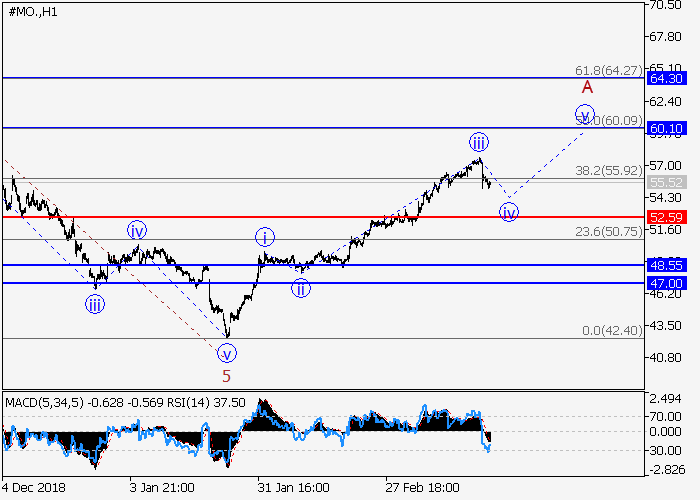 In this scenario, critical stop loss level is 52.59. On the 4-hour chart, the third wave of the higher level (3) develops. Locally the fifth wave of the lower level v of 5 of (3) is forming, within which the wave (iii) of v is developing. 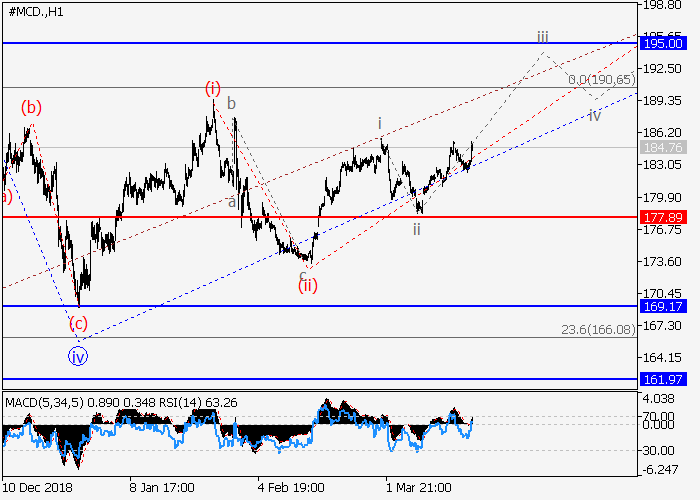 If the assumption is correct, the price will grow to the levels of 195.00–200.00. In this scenario, critical stop loss level is 177.89. On the 4-hour chart, the correction of the higher level formed as the second wave ii of 3, and the development of the wave iii of 3 has begun. Now the third wave of the lower level (iii) of iii is forming, within which the wave i of (iii) has formed, and the local correction ii of (iii) is ending. If the assumption is correct, the pair will grow to the level of 1.3661. In this scenario, critical stop loss level is 1.3123.